Zipper Interactive, the creators of the iconic SOCOM series on PlayStation, was closed down in March, but it won’t truly die until August. After nine years online, Sony will finally be taking down the servers for the PlayStation 2 and PlayStation Portable SOCOM games on August 31st, 2012. The announcement was made on the official SOCOM forums on Tuesday with a blanket statement that all franchise games on those systems will be taken offline. PlayStation 2 system: SOCOM: U.S. Navy SEALs, SOCOM II: U.S. Navy SEALs, SOCOM 3: U.S. Navy SEALs, SOCOM Combined Assault. It’s a testament to the quality of those games that there’s been cause to keep those servers open this long after the games came out. 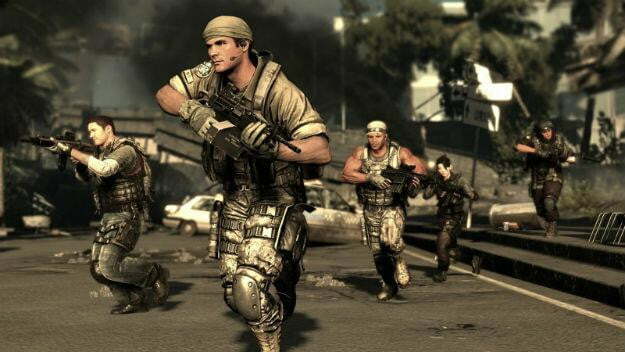 SOCOM never became the multiplayer shooter Sony wanted it to be on the PlayStation 3. Zipper’s efforts, especially SOCOM 4, were criticized by series fans, but the reason those games failed is that they were replaced. When the original SOCOM released in 2003, there was a dearth of more stringent military shooters on consoles. In an age of annual Call of Duty releases and million sellers like Medal of Honor and Battlefield 3 alongside them, there’s no place for an expensive franchise with a cult following like SOCOM. Enjoy those last couple of months, players.